Spend an unforgettable day in the Piedmont countryside with this excursion in Barbaresco, including hiking and wine tasting. Take in the sights along a 6-mile (10-km) trail loop. Enjoy a break at a family-owned Barbaresco wine estate, where you sample 4 wines along with a light snack. Meet your guide in Barbaresco in front of the City Hall to begin your invigorating hike through the Piedmont hills. The vineyard-covered landscape of this, the Langhe wine-producing region, is one of the most recent entries on Italy's list of UNESCO World Heritage Sites. Follow your experienced guide along the 6-mile (10-km) route from Alba to Barbaresco and back, taking in the glorious scenery along the way. Arrive in Barbaresco at the wine estate of a small, family-run winery to tour the wine cellars and meet the family behind the operation. Enjoy a traditional snack such as cheese, bread sticks, or salami – with at least 4 different wines paired so you can sample some of the area's famous wines. 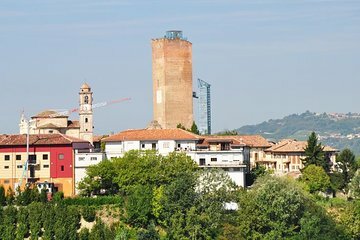 Head for the tower of Barbaresco in order to take in the commanding views over the Tanaro River and surrounding countryside. Spend a bit of free time in the town of Barbaresco itself before starting the return hike with your guide.